The hamlet and CDP of Greenlawn was a piece of a larger land purchase between white settlers and the Matinecock tribe in 1653. It was first titled Oldfields and was used as pasture lands, but was given its current name in 1870 by the LIRR in an effort to project an impression of rural tranquility and encourage vacation travel through the area. Through the 19th century, the area was largely sustained by potato, cabbage, and especially cucumber farming. Its chief commodity was the pickle, which is still celebrated during the annual Pickle Festival at the John Gardiner Farm. Greenlawn’s primary educational institutes are an elementary, middle, and high school which comprise the Harbor Fields Central School District and also serve parts of Centerport, Huntington, Huntington Station, Huntington Bay, and Northport. Its main business quarter runs along Broadway, creating a main street of shops, restaurants, and other businesses. The town served as part of the setting for the independent films Have Yourself a Merry Little Christmas and award winner L.I.E. Actor and playwright Charles Ludlam grew up in Greenlawn, did singer Mariah Carrey. Jeff Hawkins, who founded Palm Computing and Handspring, and created the Palm Pilot and Treo, graduated from Harbor Fields High School in 1975. 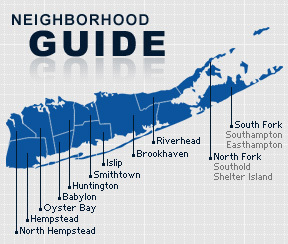 According to the 2010 census, Greenlawn has a population of 13,742 with 4,560 households and an average size of about three persons per household. The median household income stands at $92,571 with males making $72,172 and females $53,932.